Sophisticated and exclusive hotel offering exquisite and gorgeous cottages with sea view. 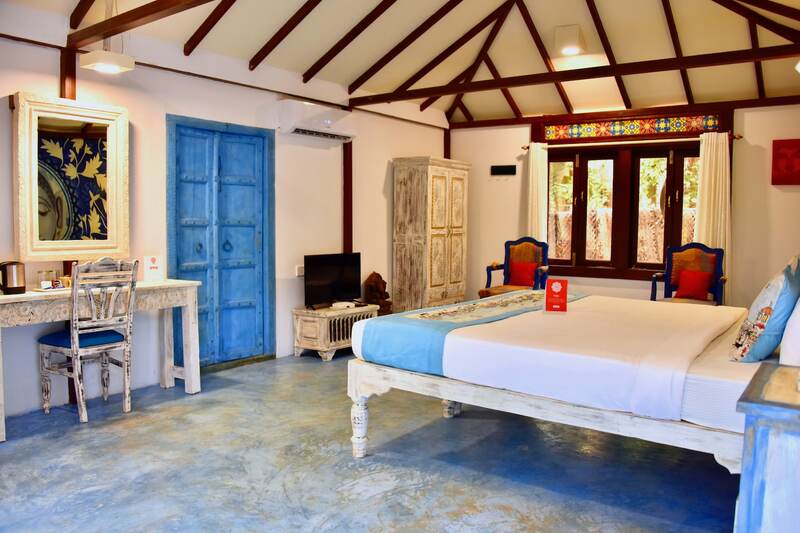 OYO 2288 Hotel Leela Cottages is located strategically in Goa to offer you the best services and comfort at affordable rates. The property is well maintained by a trained and skillful OYO staff who ensure all your needs are catered to. Take a tour of the Goa and explore key attractions like Chapora Fort, St. Cajetan Church and St Anthony'S Church. If you run out of cash, there is HDFC Bank ATM, ATM Bank of India and HDFC Bank ATM very close to the hotel.